Two-anchor, rather-small enclosed shopping center built in the ’60s along Lake Michigan, midway between Manitowoc and Two Rivers. Lost Montgomery Ward in 1983 and was never replaced with anything stable. 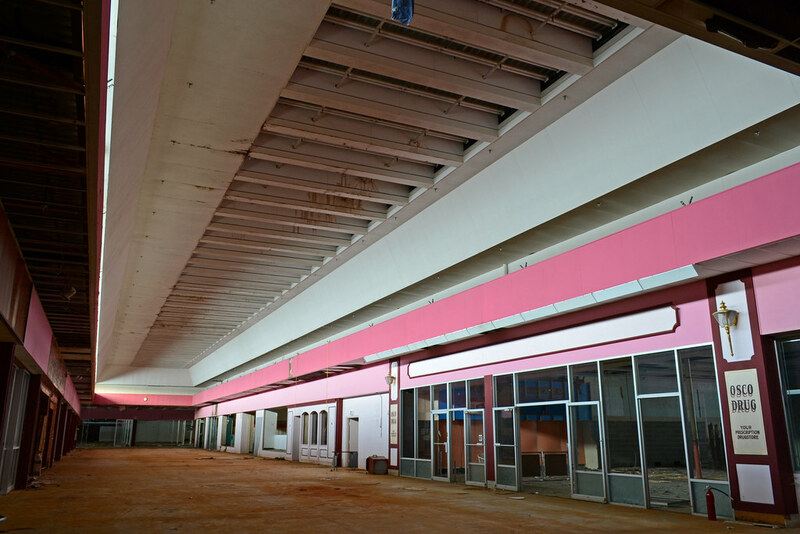 Mall was renovated, painted a gaudy pink, and renamed sometime later, but never fully recovered. The interior was shuttered in 2000, while JCPenney stuck around another decade before closing. Briefly explored mere hours after JCPenney closed. Loot: Neon tubes from the interior “Penneys” sign; Lakeview Centre pin buttons.